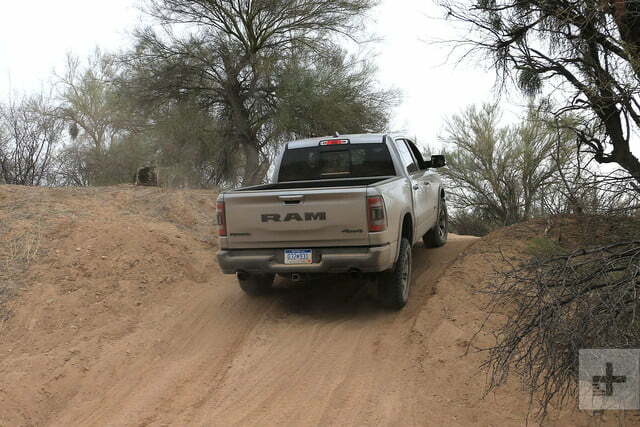 A dizzying options list means there’s a Ram 1500 for just about everyone. The last few years have been good to full-sized pickups. 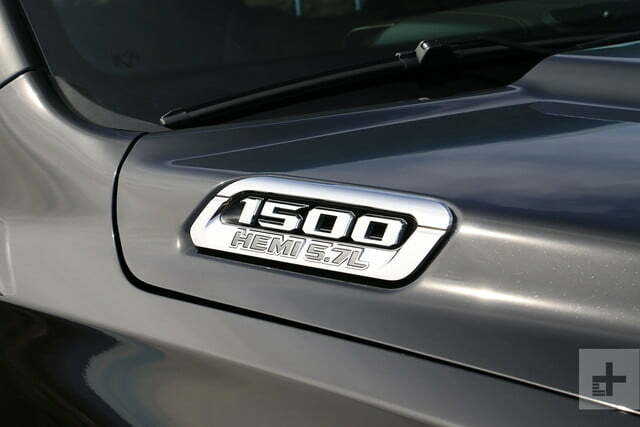 A strong economy and relatively low gas prices have seen buyers who were shying away from these larger, heavier vehicles returning to the fold, and Ram just closed out the best February ever for the 1500. Not bad, considering the truck’s about to be replaced by this all-new, fifth generation pickup. 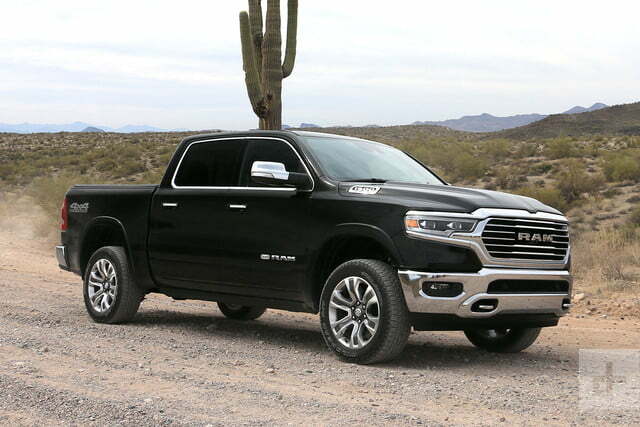 “This truck is the most significant accomplishment we’ve had so far as a brand,” boasted Jim Morrison, Head of Ram Brand for FCA North America, of the company’s all-new 1500 pickup. 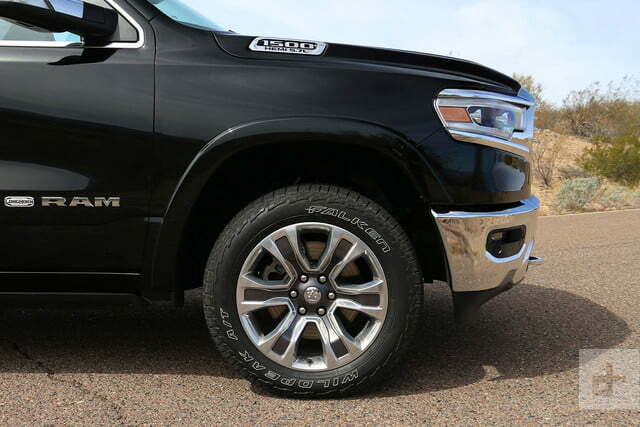 Since splintering off from the Dodge brand in 2009, Ram has seen sales grow from 260,000 to 700,000. But with Ford’s continued stranglehold on the market’s top spot – the F-150 has been America’s best-selling truck for more than four decades – and General Motors’ recent debut of an all-new Chevrolet Silverado and its GMC counterpart, the Sierra, Ram can’t rest on its laurels. 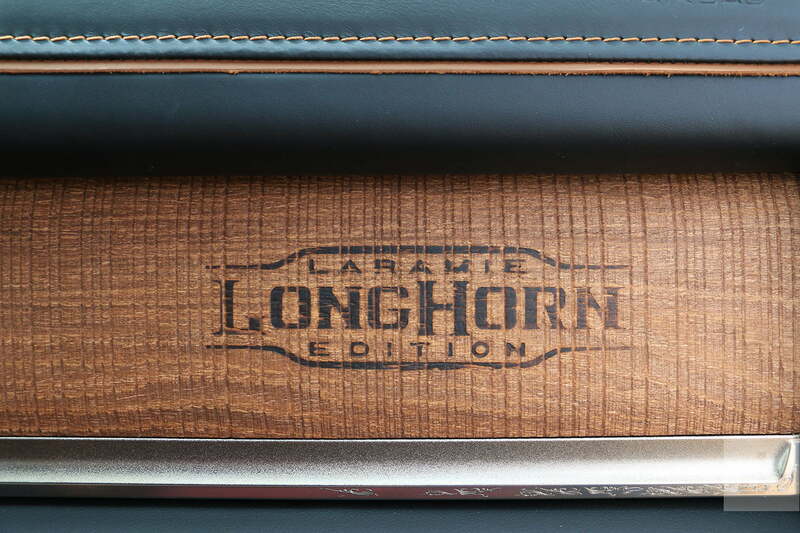 Available in Tradesman, Bighorn, Rebel, Laramie, Laramie Longhorn and Limited trims, Ram has gone to great effort to ensure that there’s now a 1500 for just about every type of pickup customer out there, allowing customers to spec-out everything from a sparse work truck to a blinged-out luxury rig. Starting at a base price of $31,695 for the Quad Tradesmen 4×2 (before destination charge), our Crew Cab Longhorn 4×4 tester has a starting MSRP of $54,890. 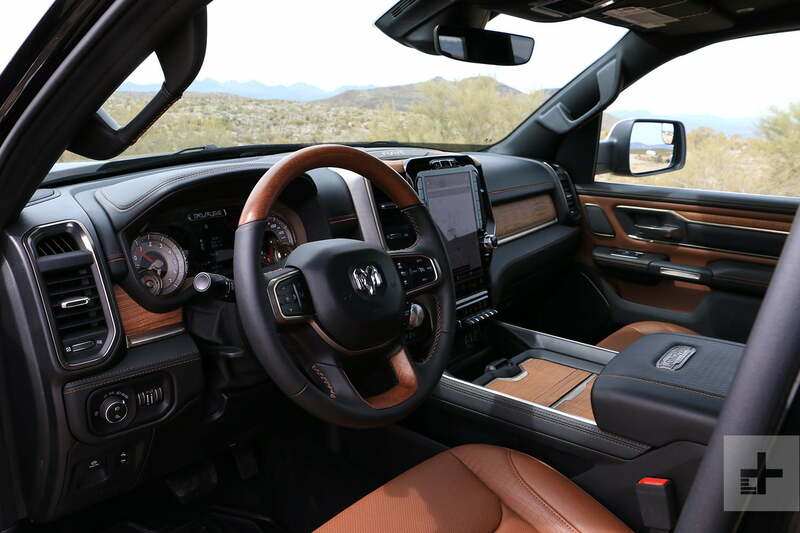 Developed with an emphasis on storage, function, and technology, Ram’s goal with the interior of the new 1500 was to “design the best interior of any truck on the market,” said Ryan Nagode, chief interior designer for Ram. 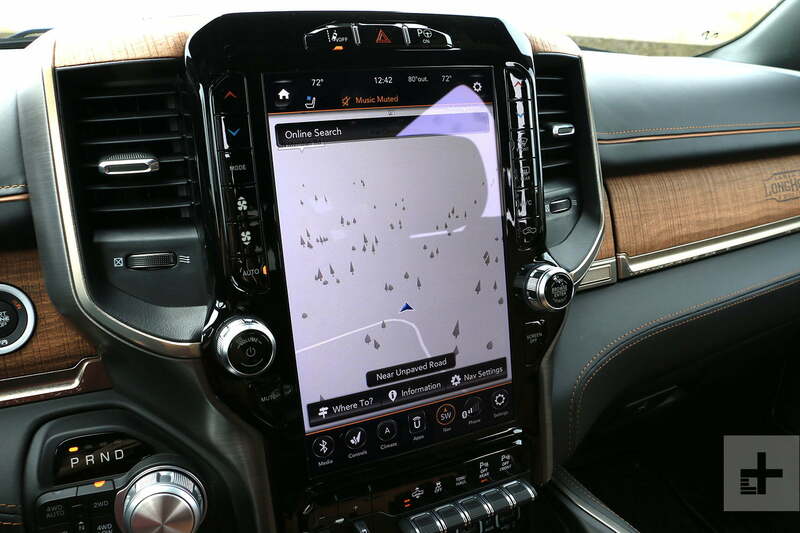 The centerpiece of that retooling – both figuratively and literally – is a new, tablet-sized 12-inch Uconnect infotainment system, which utilizes the company’s fourth-generation software. Along with near-obligatory features like Apple CarPlay, Android Auto, and Sirius XM, the system is available with a Harman Kardon hi-fi setup with 19 premium speakers, 900­watt surround sound amplifier, a 10-inch subwoofer, and active noise cancellation. While the 8.4-inch touch screen display is still available, using anything other than that new massive 12-inch display seems austere by comparison. 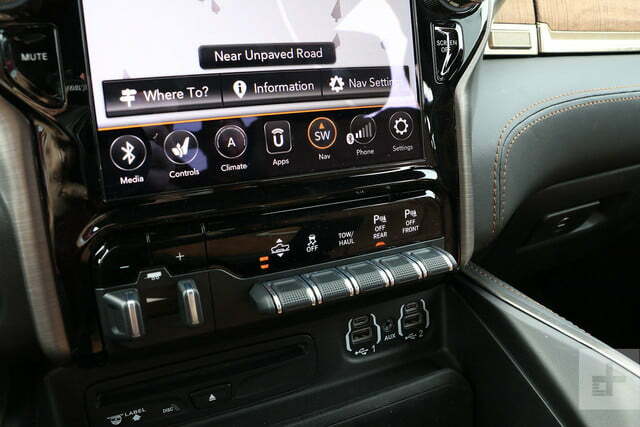 Full-screen, multi-touch gesture functionality when using the navigation system is a revelation, and you can split it in half to allow two different functions to exist simultaneously. 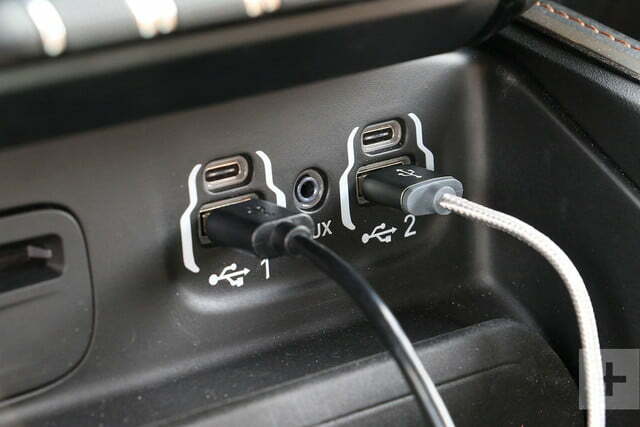 Finding USB-C ports alongside standard USBs was a welcome surprise that shows Ram was serious about futureproofing these trucks. Small bins and compartments hide nearly everywhere you look, and the cavernous center console storage provides quick access to phones, tablets, cameras, and just about anything else smaller than its 40-liter storage volume. 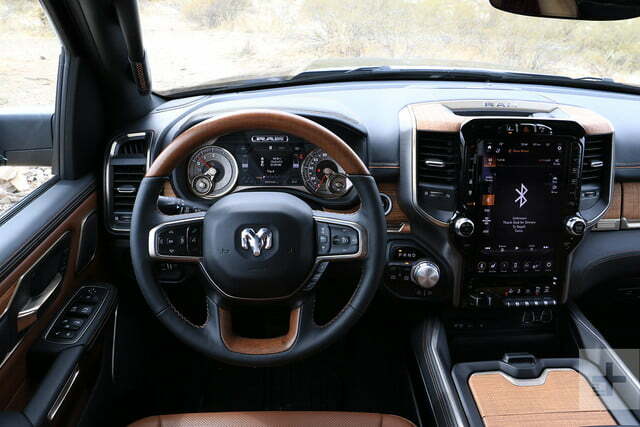 Depending on the trim level, the Ram’s interior quality ranges from the no-frills cloth variety of the Tradesman all the way to the objectively plush cabin of our Longhorn tester, which features real wood accents branded with a real branding iron, which is pretty neat if you’re into that sort of thing. As diverse as the truck market has become, Ram does a great job of providing packages for every major buying group, and that’s reflected in the interior design. While the Limited and Longhorn models get soft-touch leather, brushed-aluminum accents, and other upscale appointments, the Rebel gets a more youthful vibe to go along with its off-road focus. Aiding the driver is an available 360-degree surround-view camera system, an adaptive cruise control system which can fully stop, hold, and resume its distance between it the vehicle in front of the truck, and active safety features like blind-spot monitoring, forward-collision warning, and lane-keep assist. While the 3.6-liter Pentastar V6 and 5.7-liter Hemi V8s available here are familiar, they’re both available with a new “eTorque” 48-volt mild hybrid system for the first time. Said to deliver up to 90lb-ft of torque for the V6 and 130 pound-feet for the V8, the system is mainly designed to provide more seamless operation of the start/stop fuel saving system, rather than adding supplemental power to the conventional powertrain. Unfortunately we’ll have to wait a little longer to see how the system works in practice – no trucks on hand were outfitted with the eTorque system. 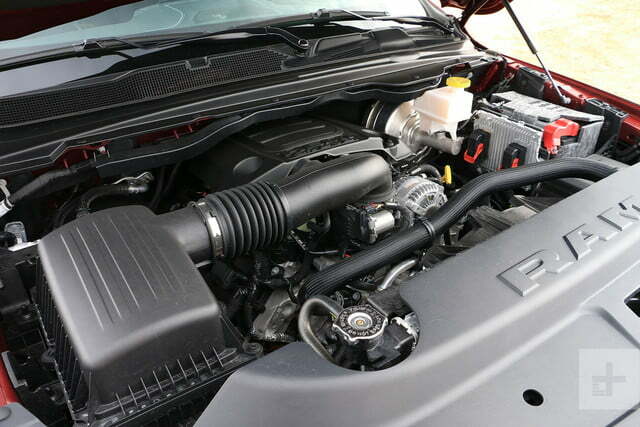 Though the 395-horsepower Hemi is overdue for some significant upgrades, it’s still proves to be a solid power plant, delivering spirited acceleration accompanied by a throaty, distinctive V8 roar that’s missing from engines like Ford’s turbocharged, 3.5-liter EcoBoost V6. 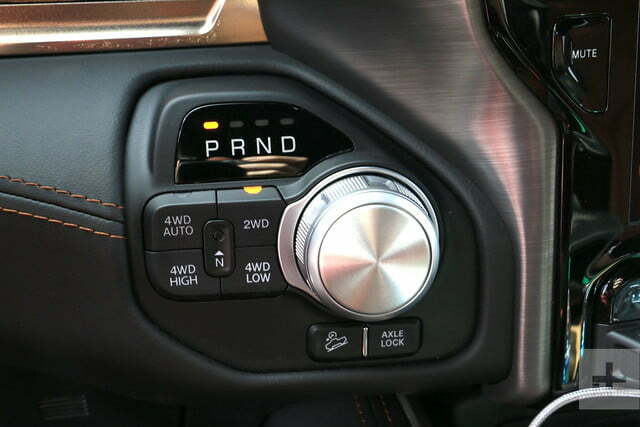 The ZF-derived eight-speed automatic transmission is now standard across the entire 1500 model lineup and keeps the 1500’s efficiency relatively in check – in our Hemi-powered Longhorn crew cab tester we saw an average of about 16 mpg during mixed use between city driving, highway cruising, and lead-footed dirt road testing. We’d expect the addition of the hybrid system to bump the numbers up by a tangible degree. Official EPA figures are not yet available. 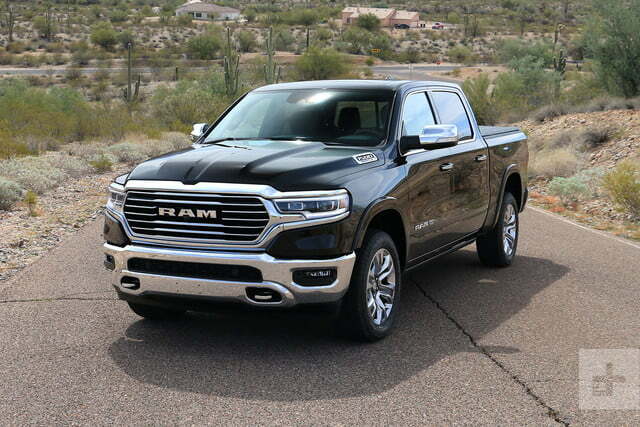 The 2019 Ram 1500 is backed with a five-year, 60,000-mile Powertrain Limited Warranty. This covers the cost of all parts and labor needed to repair a covered powertrain component – engine, transmission and drive system. 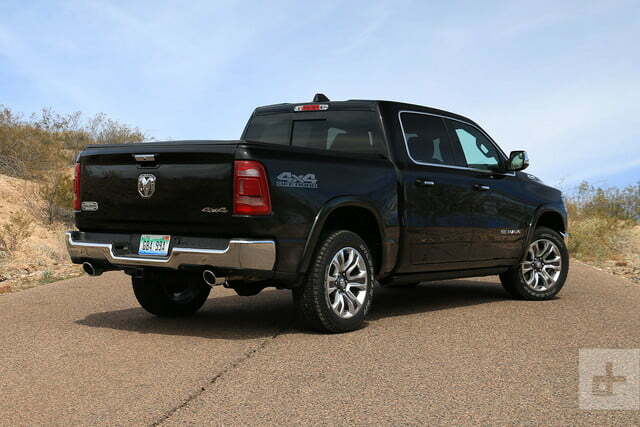 Coverage includes free towing to the nearest Ram dealer, if necessary. The warranty also is transferable, allowing customers who sell their truck during the warranty period to pass the coverage on to the new owner. 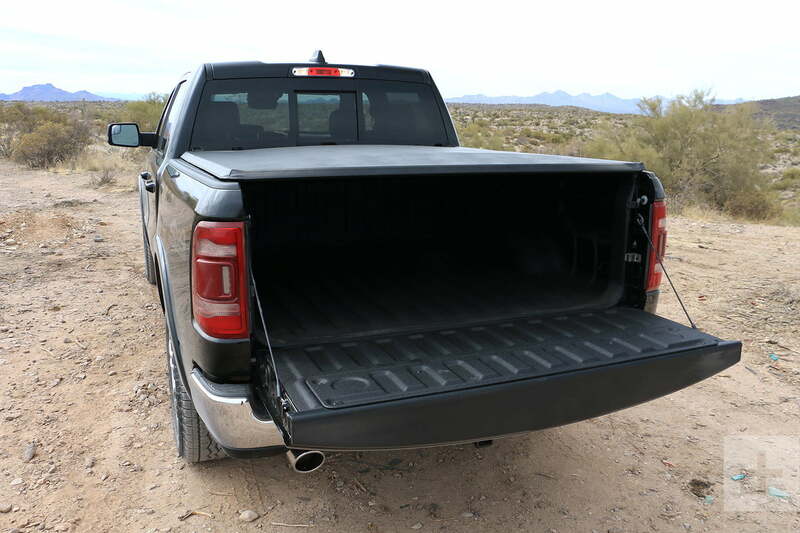 The standard three-year, 36,000-mile Basic Limited Warranty provides bumper-to-bumper coverage for the Ram 1500, from the body to the electrical system. 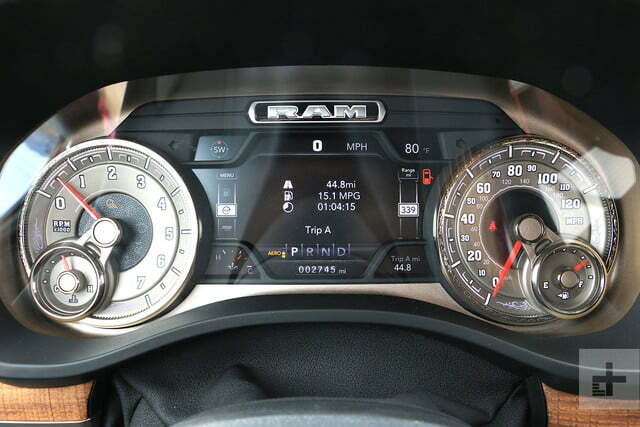 Which trim level makes the most sense really depends on the needs of individual truck buyers, but options like the 12-inch touchscreen infotainment, Harmon Kardon audio, and Hemi V8 are well worth the extra coin they demand. For us, the high-riding Rebel trim proved the most attractive. While it might not have the hardware to go to toe-to-toe with Ford’s F-150 Raptor in high-speed desert blasts, its beefy 4×4 drivetrain, bold styling, Bilstein-equipped suspension system, and purposeful interior treatment provided more than enough capability, style, and functionality to appease the vast majority of off-road-focused truck buyers. 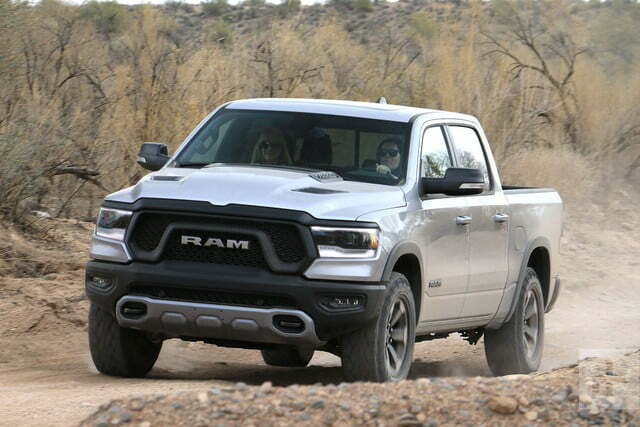 Ram faces some stiff competition in the light-duty, full-sized truck segment, but the new 1500 proves to be a worthy contender. Though the fifth-generation truck feels more like an evolution of its predecessor rather than a clean-sheet redesign, the wealth of incremental improvements yields an altogether more compelling, useful, and modular pickup that can be tailored to suit the needs of just about any buyer. Though we’ll have to wait a little longer to see how the mild hybrid system works in everyday use, its upcoming availability is a welcome sight, particularly on Hemi-equipped models. 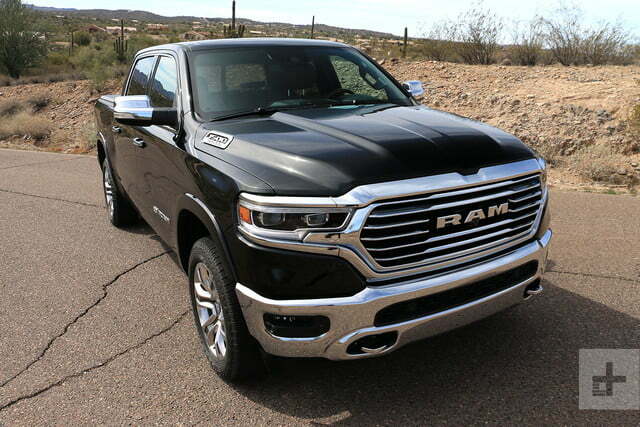 On the opposite end of the spectrum, we can’t help but wonder why the 6.4-liter Hemi V8 isn’t available here – a short bed, regular cab version of that truck would be an absolute riot, recalling the days of the Viper V10-powered Ram SRT-10. Perhaps that’s in a Ram product planner’s crystal ball? Regardless, Ram engineers have put their development efforts (and budget) in the areas where it really counts, improving functionality and the 1500’s available technological suite in ways that buyers will appreciate on a daily basis. 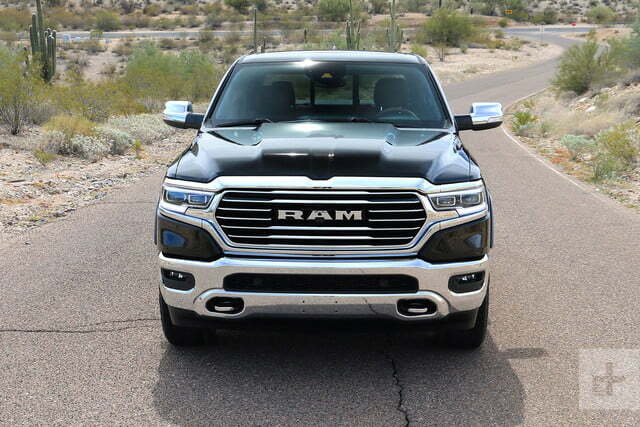 While it might not be a radical departure from its predecessor, just about everything Ram has changed about the truck proves to be a step in the right direction.